BevoNac is Bevola's Nordic axle concept, based on our experience gathered over more than 30 years. Bevola's axle experts have worked closely with body builders, hauliers, designers and selected suppliers to create the unique BevoNac concept specifically for the tough Nordic conditions. The concept is based on the integrated ROR axle concept, developed by Meritor, produced at Assali Stefen and adjusted to suit using Bevola's CAAC platform (Computerized Axle Adjustment Concept), developed in partnership with Josam. BevoNac's product development really took off in the autumn of 2011, when total production of ROR's trailer axles moved to Assali Stefen in Italy. The move opened up the possibility of wider technical development and adaptation to the Nordic conditions. Production in Italy is heavily influenced by quality-consciousness, closeness to the customers and their specific requirements. The level of flexibility is high, which makes the integration of customised solutions simpler and more effective. 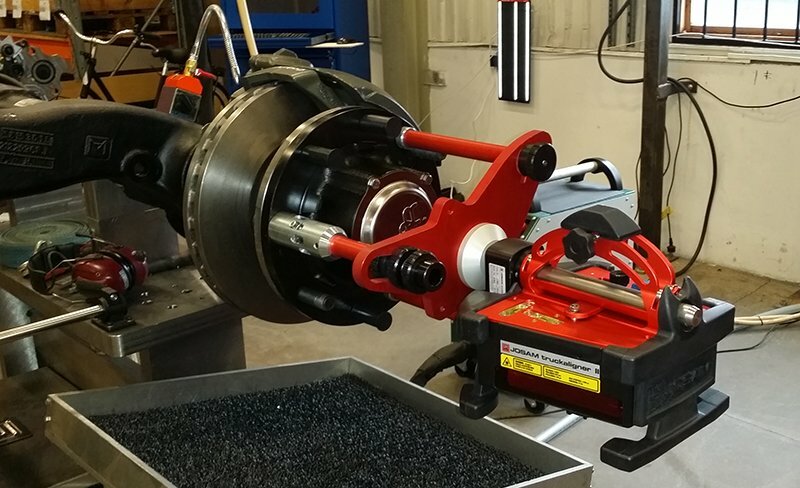 BevoBur is a prime example of how the customer's requirements for an alternative brake placing could be transformed from idea to reality in a very short space of time. All axles in the BevoNac concept are fitted with reinforced bushings, brake guards, SV shock absorbers, pneumatic bellows from VibraCustic, brake calipers from Meritor with stainless steel slide pins and extra grease in the mechanism, SKF’s cassette wheel bearings and Wabco's ABS sensor. All axles can be supplied in various track widths according to requirements and technical design, and with various road clearances from 150 mm and upwards. Steering axles are available as passive and forced steering, and can be fitted with different kinds of brake servos. BevoNac is the result of close collaboration between supply and customer. The objective was to create the most economic use at all levels through adjustment and continuous optimisation. Our joint success is based to a large degree on the richness of ideas and extensive testing, a programme consistently put into practice by the skilled engineers, designers and hauliers we work with every day. CAAC was created to meet the need for cutting overheads for hauliers whilst fulfilling the EU's climate targets. When we receive an order, Bevola carefully analyses the customer's requirements and applies CAAC, allowing us to use laser measurement to determine exactly where the wheels should be when the truck is running in a straight line. We then heat the axle shaft using induction heat, and by using highly specific spot heating techniques, we can adjust Toe-In and Camber angles to the perfect setting for the axle type. Fine adjustment of the axles achieves major savings on fuel, tyre wear and repairs. Reduced CO2 emissions, less road wear and significantly improved ride are added bonuses. CAAC also support the development programmes of truck manufacturers working towards more energy-saving engines, gearboxes and rear axles. All these good intentions are lost if a hanger or trailer is attached with misaligned axles.